Jackie Evancho won the 2010 Outstanding Newcomer Award with 42.8% of the vote. Jackie Evancho is just ten years old and was inspired to sing by watching Andrew Lloyd Webber's musical film adaptation The Phantom of the Opera. She auditioned for America's Got Talent in the summer of 2010 and caused a Susan Boyle type sensation. Since the show, Evancho has been signed to SYCO/Columbia, released her first major CD O Holy Night and has gone platinum. She is already working on a new album, expected to be released in early 2011. - To be nominated for the Outstanding Newcomer award, the artist must have been newly launched in 2010 with their first commercial and official release. The nominee needs to have been active this year, either through a release or promise of an album in 2010 (takes priority) or performing. Isabel Suckling received 19.3% of the vote. Isabel Suckling is a twelve year old choirgirl. Isabel is being geared towards the 2010 Christmas market with the release of her debut album The Choirgirl at the end of November. Fuse received 11.4% of the vote. Joanna Marie Skillet received 26.5% of the vote. 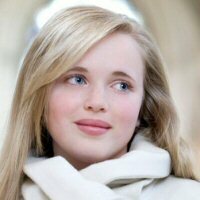 Joanna is an upcoming soprano, expected to release an album in late 2010. 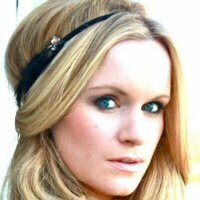 Immensely likeable, beautiful and talented, Skillett is likely to go far and is already compared to Katherine Jenkins.